The problem is when I am playing normally and the game freezes. The screen freezes, shuts down and goes back to "turn on" and that has happened to me very frequently. Even, as seen in the video, sometimes it takes me out of the server. Sometimes this happens very often during a game in the sauerbraten and it even came to stop the system and had to restart with the key combination CTRL + ALT + PetSys + (REISUB). I recorded a video with my cell phone where one of those moments in which the problem occurs is observed. [ 2526.926392] [drm:radeon_cs_ib_chunk] *ERROR* Invalid command stream ! [ 2671.972075] [drm:radeon_cs_ib_chunk] *ERROR* Invalid command stream ! [ 4389.270152] [drm:radeon_cs_packet_next_reloc] *ERROR* No packet3 for relocation for packet at 1880. [ 4389.270173] [drm:radeon_cs_ib_chunk] *ERROR* Invalid command stream ! [ 4429.933823] radeon 0000:00:01.0: Saved 79 dwords of commands on ring 0. [ 4430.139804] [drm] PCIE GART of 1024M enabled (table at 0x0000000000276000). [ 4430.224271] [drm] UVD initialized successfully. [ 4572.250987] [drm:radeon_cs_packet_next_reloc] *ERROR* No packet3 for relocation for packet at 1880. [ 4572.251008] [drm:radeon_cs_ib_chunk] *ERROR* Invalid command stream ! [ 4951.940506] [drm:radeon_cs_ib_chunk] *ERROR* Invalid command stream ! [ 5495.755876] radeon 0000:00:01.0: Saved 79 dwords of commands on ring 0. [ 5495.965344] [drm] PCIE GART of 1024M enabled (table at 0x0000000000276000). [ 5496.050228] [drm] UVD initialized successfully. [ 5496.074805] [drm:uvd_v1_0_ib_test] *ERROR* radeon: failed to get create msg (-22). [ 5496.094639] [drm:radeon_ib_ring_tests] *ERROR* radeon: failed testing IB on ring 5 (-22). [ 5680.380812] [drm:radeon_cs_ib_chunk] *ERROR* Invalid command stream ! 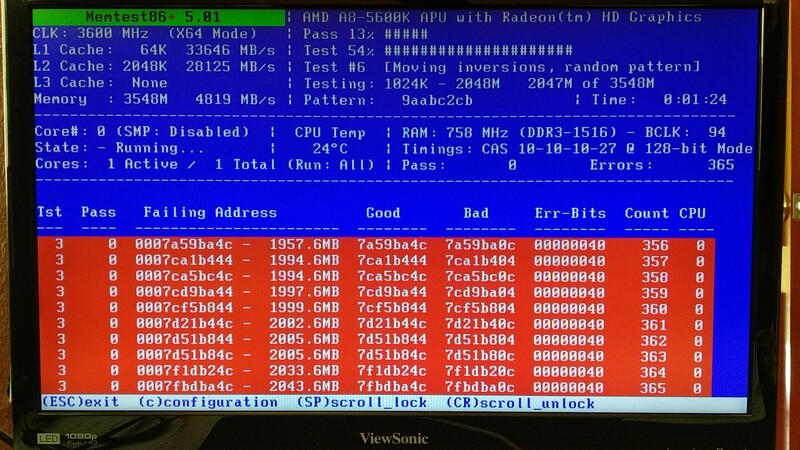 [ 6036.920655] [drm:radeon_cs_ib_chunk] *ERROR* Invalid command stream ! 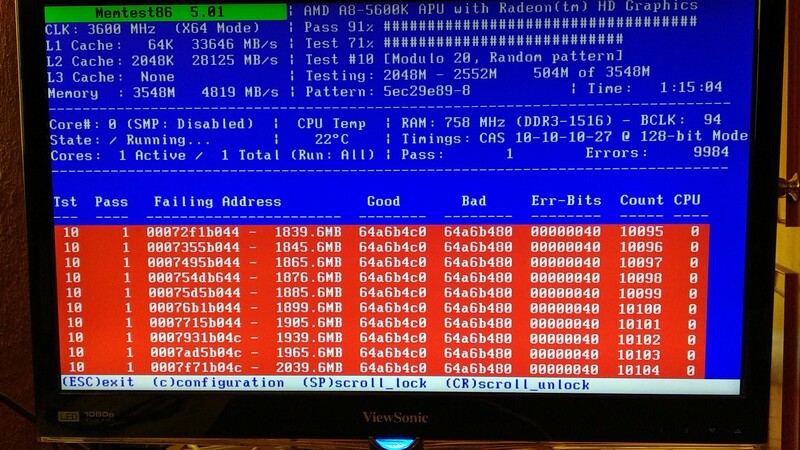 [ 6186.295181] [drm:radeon_cs_ib_chunk] *ERROR* Invalid command stream ! [ 6494.903898] systemd-hostnamed: Warning: nss-myhostname is not installed. Changing the local hostname might make it unresolveable. Please install nss-myhostname! [ 2484.294911] radeon 0000:00:01.0: Saved 111 dwords of commands on ring 0. [ 2484.487101] [drm] PCIE GART of 1024M enabled (table at 0x0000000000276000). [ 2484.571662] [drm] UVD initialized successfully. [ 2901.581880] radeon 0000:00:01.0: Saved 111 dwords of commands on ring 0. [ 2901.778789] [drm] PCIE GART of 1024M enabled (table at 0x0000000000276000). [ 2901.863566] [drm] UVD initialized successfully. [ 2901.893200] [drm:uvd_v1_0_ib_test] *ERROR* radeon: failed to get create msg (-22). [ 2901.913042] [drm:radeon_ib_ring_tests] *ERROR* radeon: failed testing IB on ring 5 (-22). If any of you knows the possible solution to my problem, I would be grateful. I got OpenSuse Leap, dont remember the version, but i got the same problem there. Well, I've tried it with the vanilla client and the same thing happens. So it has to be a driver problem. The only thing i realized is when this problem starts my CPU usage goes really high and so the temperature (around 80° or 90°) That's the only hint i could find, but i was too lazy to keep searching for a solution. The drivers, different clients, different video configurations didn't solved anything. PD2: Si lo deseas le puedo preguntar a arCABAL, él usa Linux y algo debe saber. ¡Saludos! Ask Eihrul for patching or so. Although it does seem a driver-related issue. Apparently it is a problem with the 2D acceleration method: glamor. I change it long time ago, default method was EXA. So i use EXA (default on my system) instead of glamor. Besides that the vsync (of my system) is activated by default, so I play at ~ 60 fps and ... so far I have not had any problems (at the moment). But with my other game (teewolrds) the problem persist. Another detail that I notice is that a memory module is damaged. Did the module suffer damage due to problems with the driver? Did the damaged memory module cause the problems?